I can still remember picking out our first set of dinnerware. 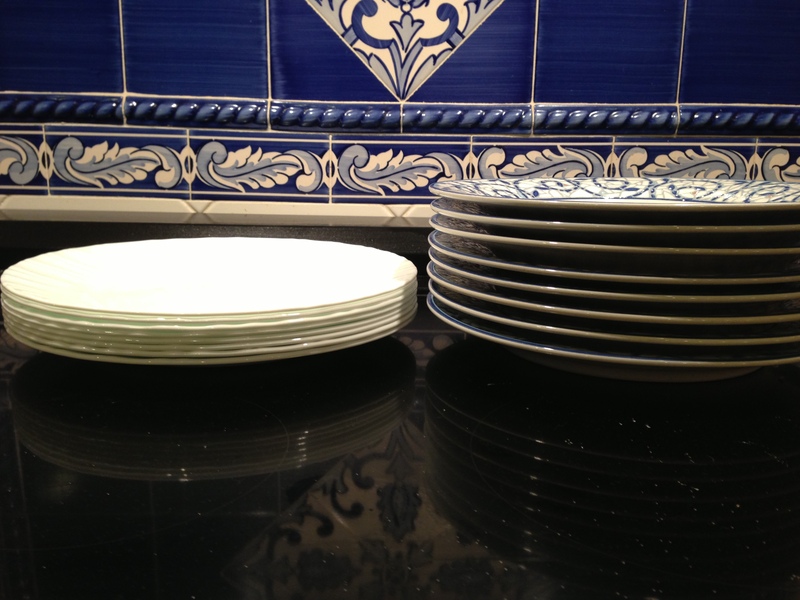 I fell in love with the blue and white design and later ended up designing our entire kitchen off of the color scheme. But alas it has not withstood the test of time or three children. The original 8 mugs have dwindled down to 2 and all of the remaining plates are either chipped or scratched. While my husband and I discussed purchasing a new set, we couldn’t decide what to get and just couldn’t agree on a pattern. There is also one person that I am definitely sharing the information about Corelle with and that is my newly engaged sister. Instead of making the mistake I made, she can start off with Corelle and not have a set of dinged up plates ten years from now. 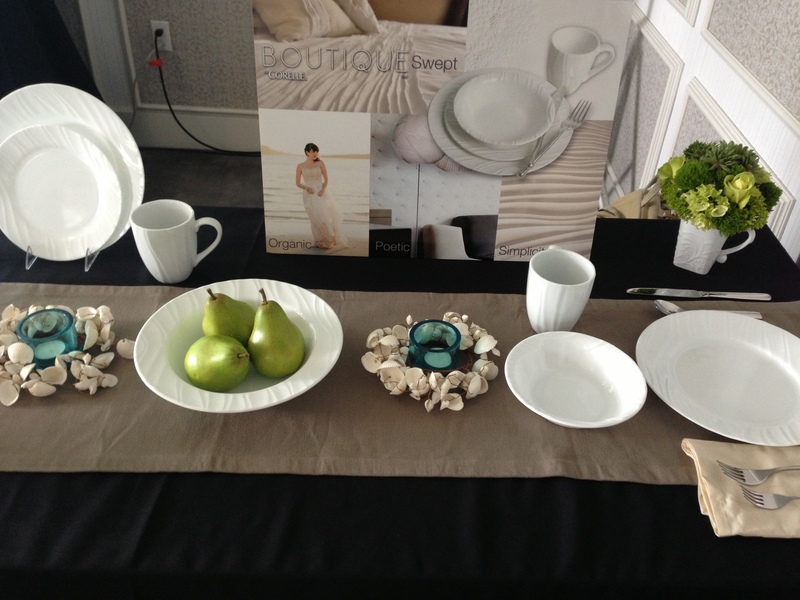 In fact, Corelle has launched a new Boutique Collection perfect for a wedding registry. With two designs: Cherish, the rounded squares, and Swept, the rounds, the Boutique Collection is simple and gorgeous. AND for my sister and all brides-to-be, Corelle is running a Facebook Sweepstakes where they will purchase your entire wedding registry! Umm, where was this when I was getting married – perhaps its time to renew my vows? Check out the sweepstakes HERE. The rounded squares are called Cherish from Corelle’s new Boutique line. Gorgeous! 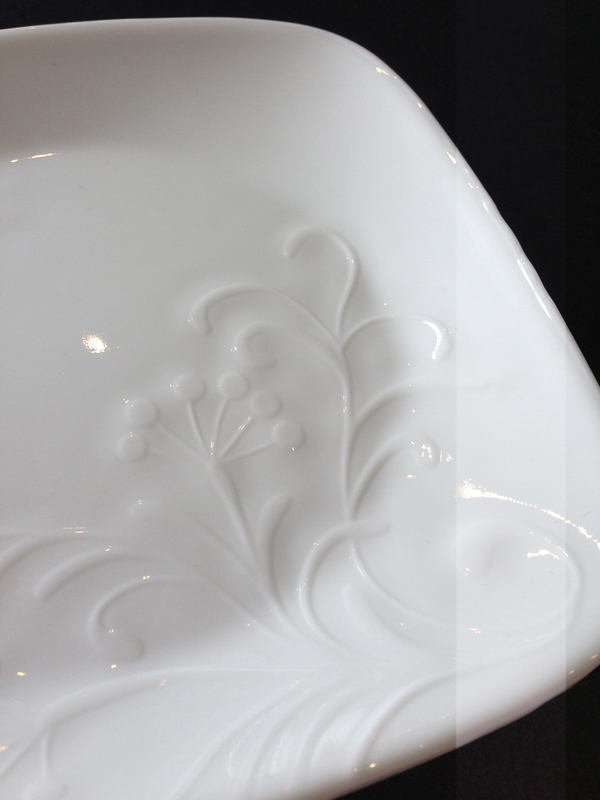 TO ENTER: Share on this blog post why you love/hate your current set of dinnerware. Do you eat off of paper plates? Share that too! 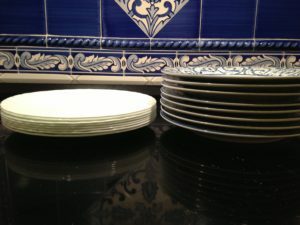 This entry was posted in Product Reviews and tagged Corelle, dinnerware, Parenting, product review. Bookmark the permalink. ← Los Tweens Attending Disney Social Media Moms – Vamonos! I hate my current dishes because they keep chipping!! We use Corelle set and I love the lightweight of them. I love how light weight my current Corelle dinnerware set are! I’m still using the Old Town Blue Corelle I received as a wedding present 33 years ago. I would love something more modern. I hate my current dishes because they are really ugly and chipped. My mom gave them to me just so I would have dishes. My dishes did not match. I hate my current dinnerware because it is the really heavy stoneware from the 80s. You know the type, grayish with blue trims around the edges. I love mine, but hate that through the years we have broke so many of the pieces! Oh I have a love/hate relationship with my current dinnerware! LOL…I love the style….but I am missing a plate! I think my dishwasher ate it! LOL…so its hard when everyone is home for dinner…we have to use paper plates since we only have 3 plates! So, I would LOVE a new set…these are so nice! I hate mine because many plates have chips on them. My Granda used to have a gorgeous Corelle dinnerware, they are the best. lot of variued angles. Its like men and women are not interested except it is one thing to do with Girl gaga! Your individual stuffs outstanding. Always deal with itt up!